The IPC Wheelchair Dance Sport European Championships is a biennial event. It took place last month in Kosice, Slovakia (October 30-November 3) with the participation of 14 European countries and over 100 dancers in 3 days of competitions. Israel was represented by 5 wheelchair dancing couples. They were accompanied by their instructor choreographer and dancer Yelena Feitliher. They achieved great accomplishments and brought much pride. Vital Singer won a Silver Medal in the Solo category of the Latino Dances (dancing alone in her wheelchair) and won the Bronze Medal in the Freestyle category together with her standing dance partner dancer and choreographer Sean Ziv. 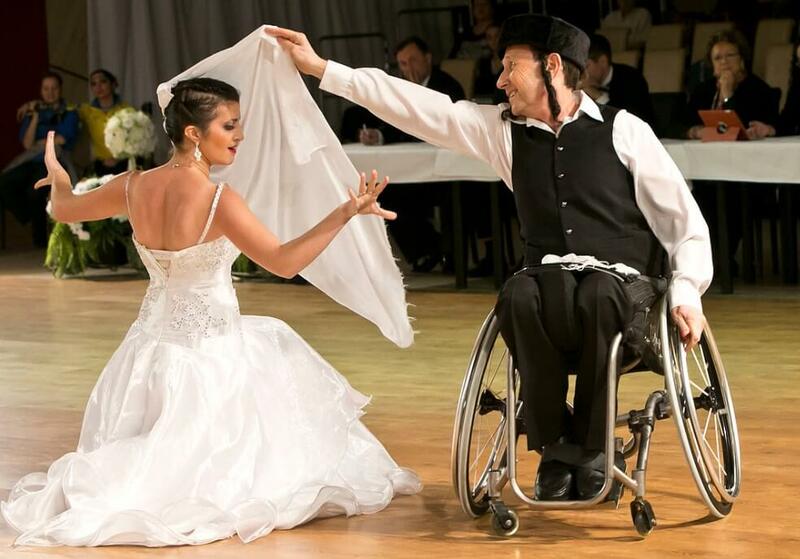 Adam Greenfeld, a wheelchair dancer together with his standing dance partner Natalia Kutik, won the Silver Medal in the Freestyle category, and Shlomo (Sammy) Dahan and Maytal Wax, both in wheelchairs, won the Bronze Medal in the Latino Dances category. Anna Wishbein and her dance partner Gili came in fourth place, both of them in ‘Class 1 Combi’. At another international competition, The Human Integra Cup 2016, which took place in Bratislava last week, wheelchair dancer Nahum (Humi) Prital and his partner Sarai Gelb won the Gold Medal.